Available in Canada from Wood Essence with Free Shipping (Canadian Addresses Only). 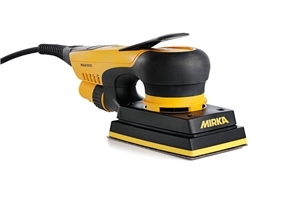 Mirka takes their DC motor driven sanders to another level. 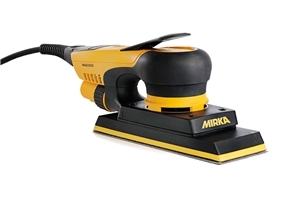 Now available and in stock at Wood Essence, the Mirka DEOS rectangular sanders. DEOS is available in your choice of 3x5" or 3x8" models. DEOS features digitally controlled variable speeds from 5,000 to 10,000 rpm to provide the ideal finish for a variety of applications. Supplied without Systainer at reduced cost. Ergonomic Low Profile for Enhanced Control. Only 4" High. One-Hand Operation for less fatigue. Elongated body style allows 2 handed operation. Brushless DC Motor for trouble-free, powerful performance. Central Vac Ready for Dust-Free Sanding! Electric Brake reduces rundown time. Enhanced vibration reduction system allows fine tuning for your application. Air Sander Styling without the need for a huge shop compressor. Ideal for small shops with limited compressed air capacity. Perfect for Onsite Installation and Site Finishing work where air sanders are not practical. Choose from 3x5" or 3x8" (2-3/4" x 7-3/4" actual) sizes. 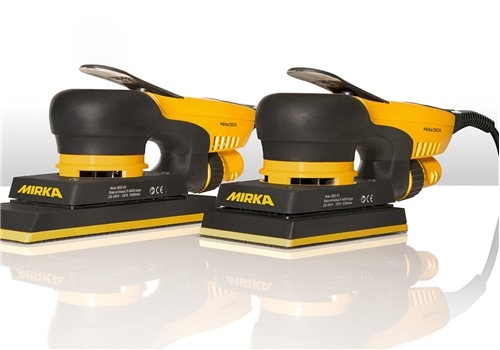 Size of Backup Pad: 3x5" or 2-3/4"x7-3/4"
Mirka DEOS 3"x5" Rectangular Sander. 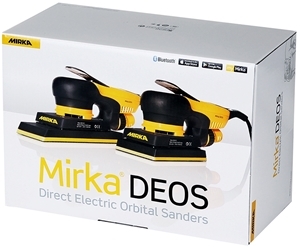 Mirka DEOS 3"x8" Rectangular Sander. Your choice of 3x5" or 3x8" Sander in simplified, reduced cost package. 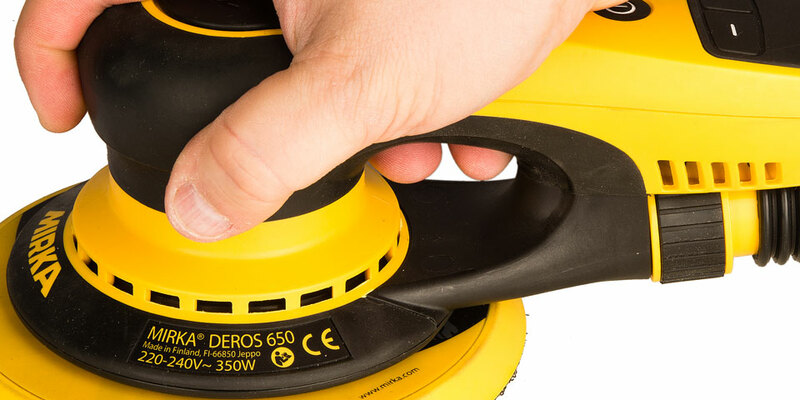 DEOS is lightweight and ergonomic allowing for easy handling and maneuvering. 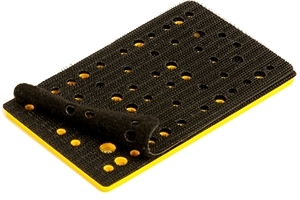 Mirka DEOS Backup Pads and Pad Protectors multi-hole pattern increases air-flow and dust collection efficiency.